W. Charles Akins High School is proud to offer students a challenging, rigorous curriculum in all of our classrooms. 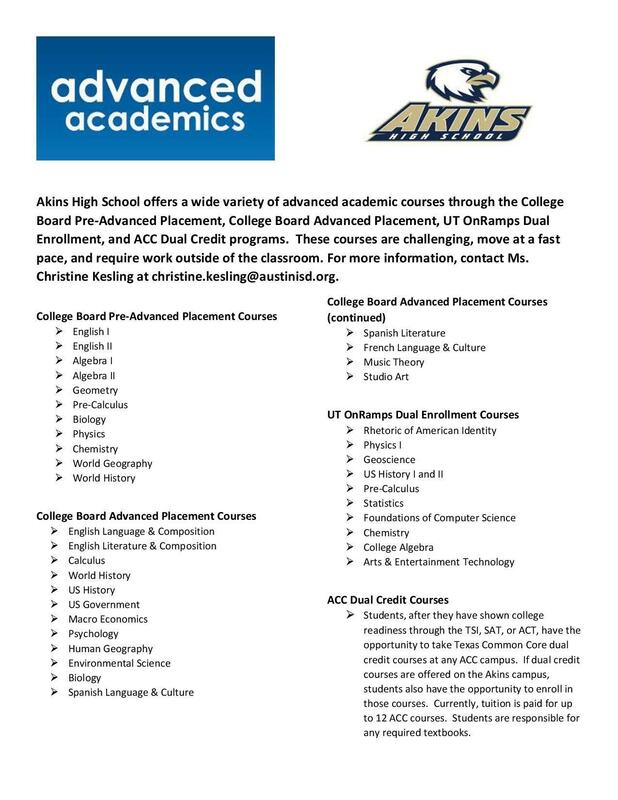 For students who want to further challenge themselves, or who wish to earn college credit while in high school, we offer Pre-Advanced Placement, Advanced Placement, UT OnRamps Dual Enrollment, and ACC Dual Credit courses. These courses require a student to complete work outside of the classroom, and some courses have pre-requisites that must be first met. 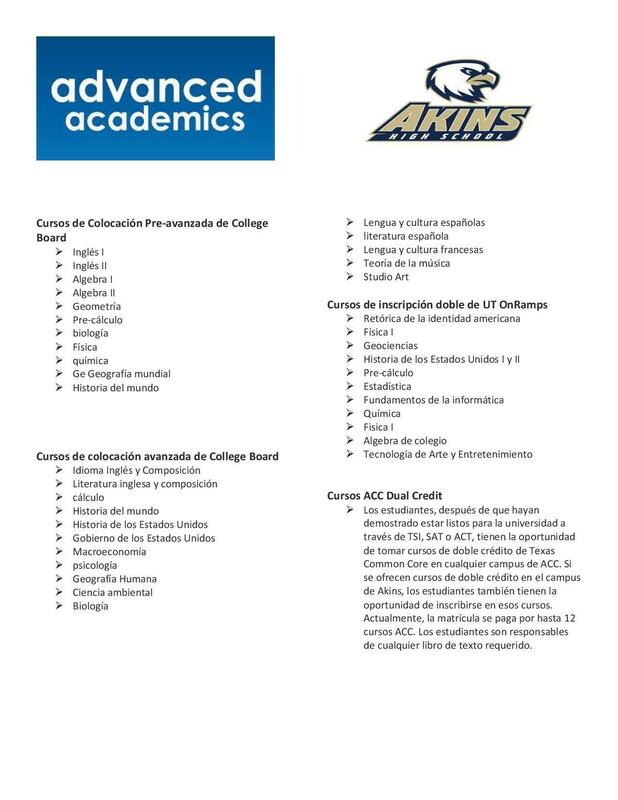 Please contact our college readiness counselor, Ms. Christine Kesling (christine.kesling@austinisd.org) with any questions about our Advanced Academic programs.